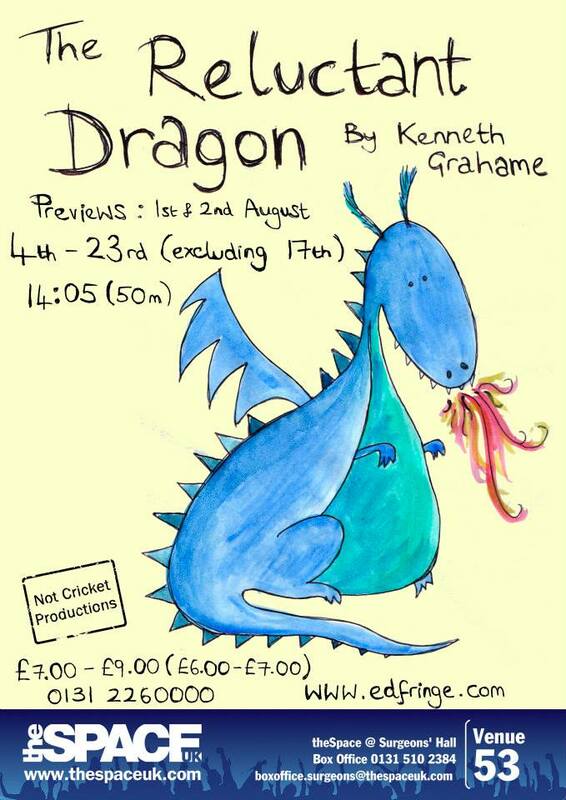 Written in 1898 by ‘The Wind in the Willows’ author Kenneth Graeme, the story of The Reluctant Dragon is still enjoyed by young and old today, with this production being particularly pleasant. An unusual union between a poetic dragon, brilliantly brought to life by Tom Manning, and St George, confidently depicted by Harry Ward, is created by a well-meaning girl, played by the superb Leigh Douglas. Her parents, performed by the assured Emily Thane and Ross Telfer, portray the story very well throughout, with the dragon constantly captivating everyone in the theatre.